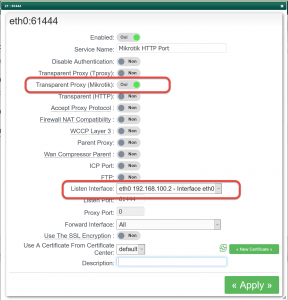 In this Article, we will describe how to build MikroTik rules in order to forward HTTP/HTTPS traffic to the proxy. 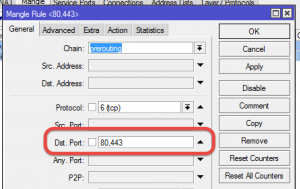 Ether 3: Dedicated lan where the proxy is. 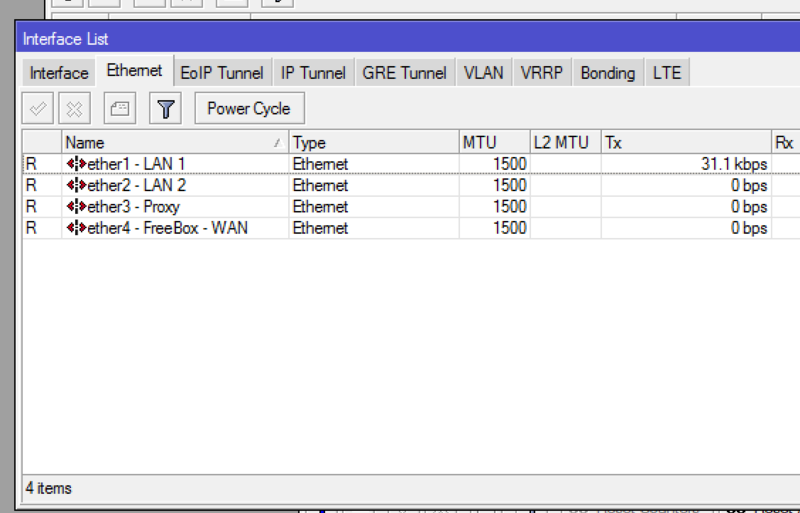 WAN : 192.168.20.0 where the final router is. 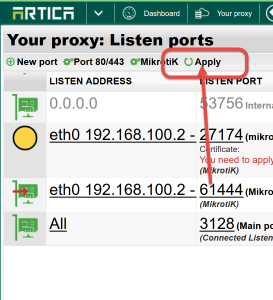 We want the LAN 1 and the LAN2 to be redirected to the proxy when requests try to reach external 80/443 ports. 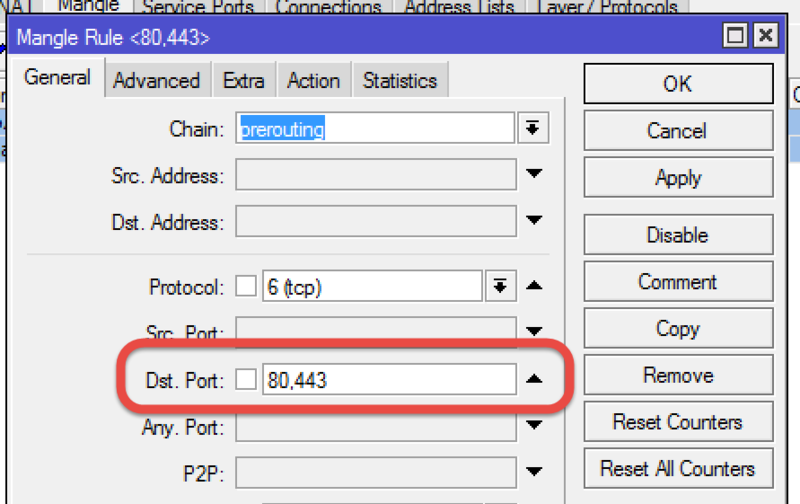 To perform this, we have to a rule that “tag” packets according to the 80/443 destination ports. 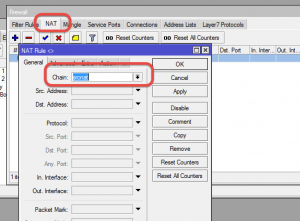 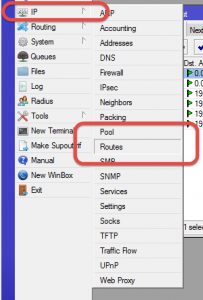 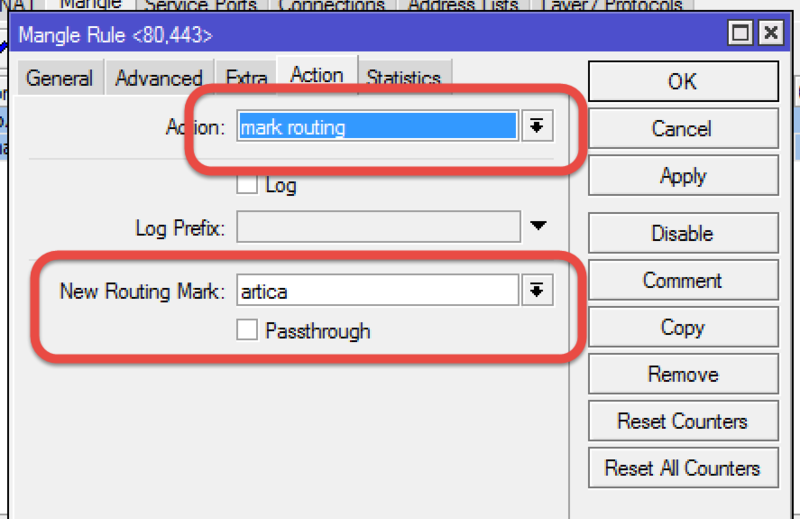 this “tagging” rule will serve a specific route that will be designed to forward packets to the proxy. 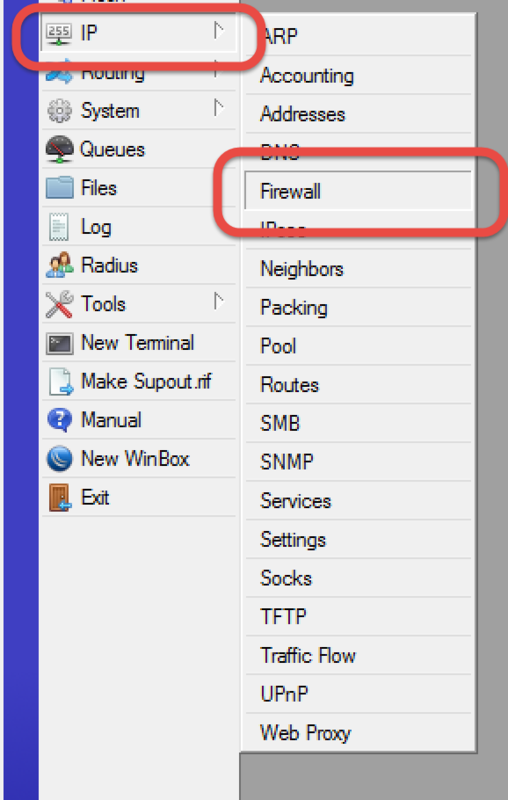 The proxy act as gateway and is able to catch TCP packets before requesting Internet. 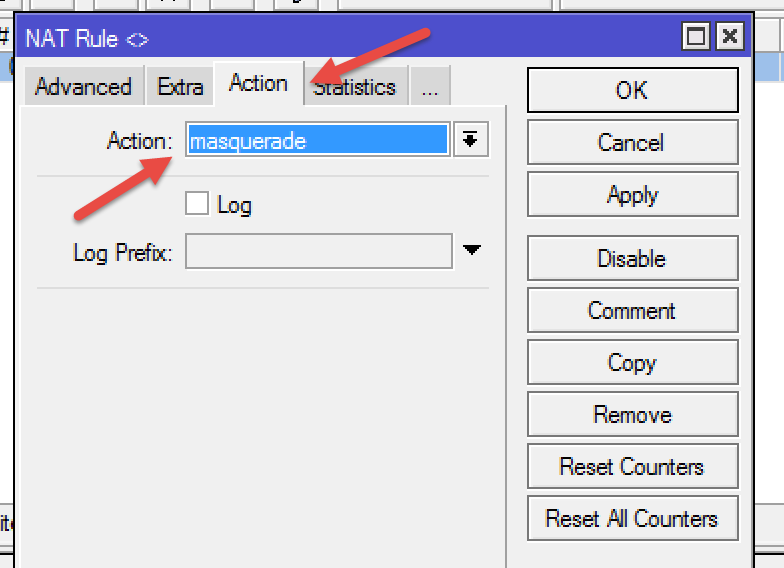 Add a new mangle route. 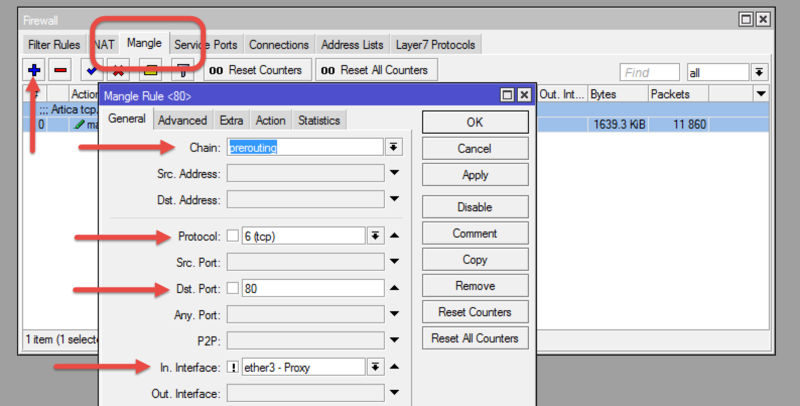 In Interface: !Important in order to prevent looping, when the proxy try to reach Internet, packet must be not marked. 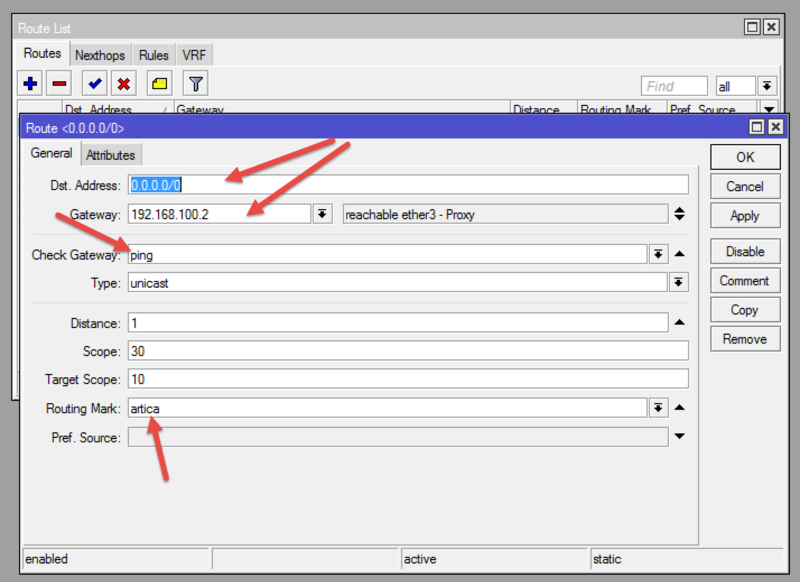 Enable the checkbox and select the Interface designed for the proxy. 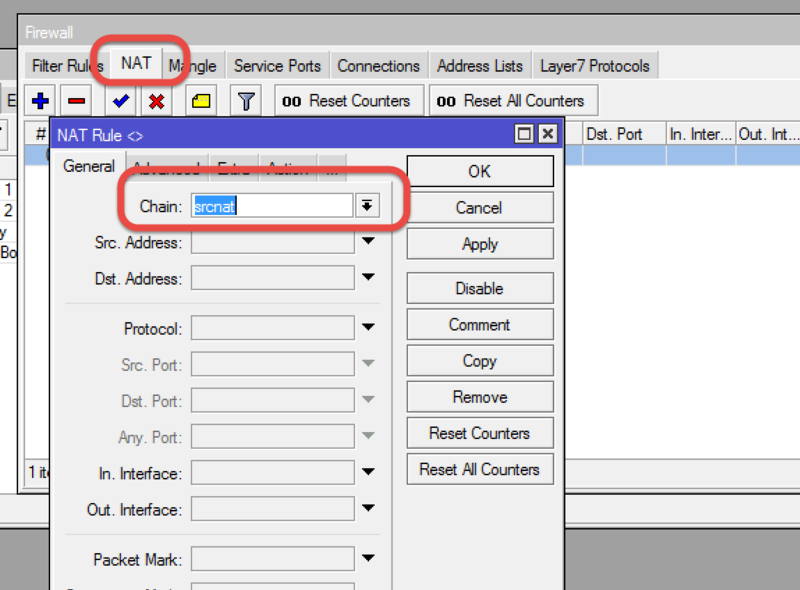 This mangle rule is just designed to mark packets that came from all interfaces except the Interface where the proxy is located. 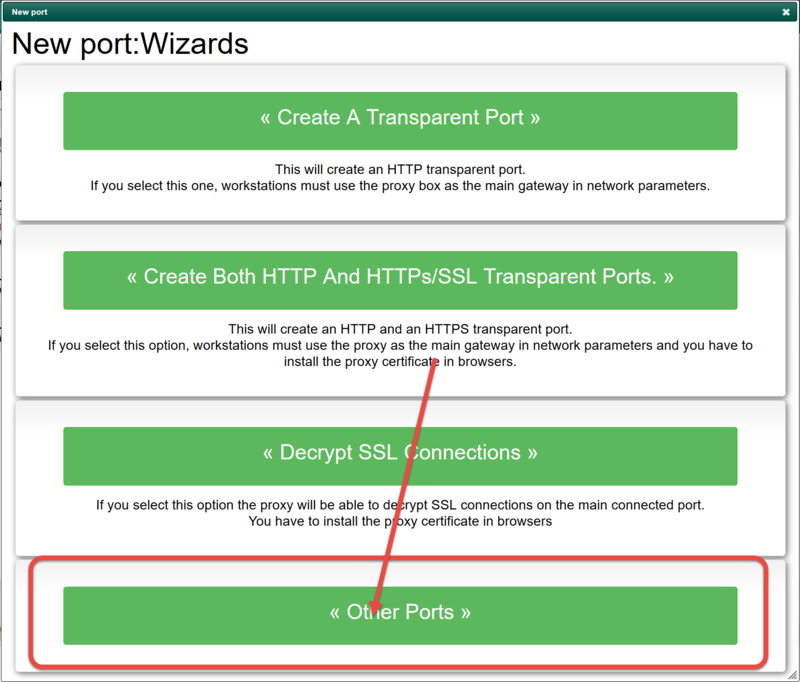 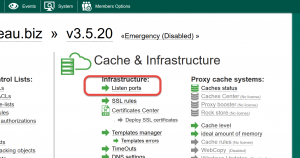 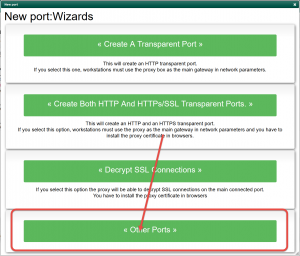 Gateway: the Proxy box IP address. The routing is able to change the next hope gateway ( the proxy) according tags added by the mangle rule. 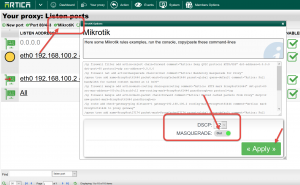 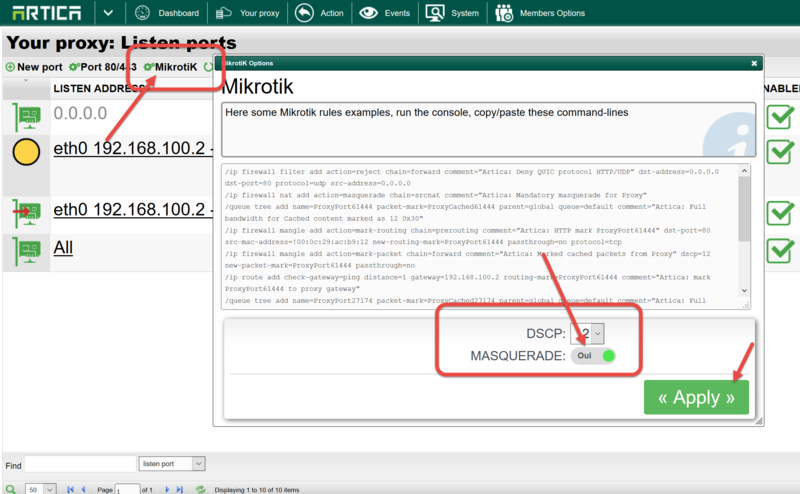 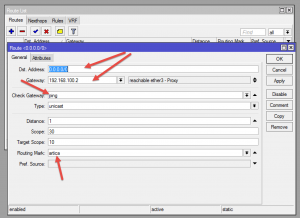 2) Make Artica compliance with MikroTik rules. 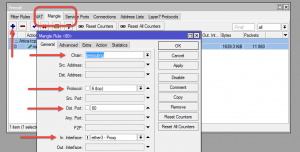 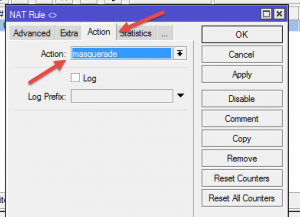 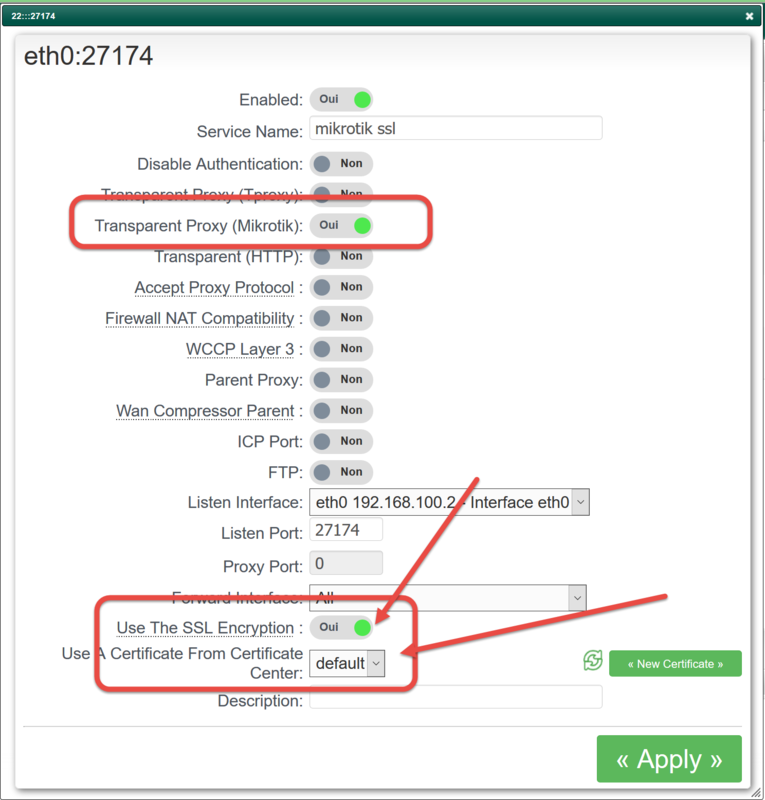 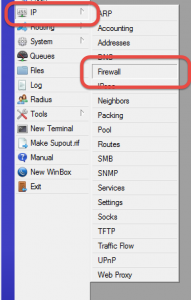 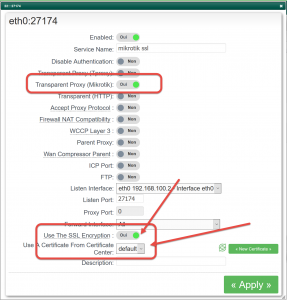 Turn ON the Transparent Proxy ( MikroTik ) option. 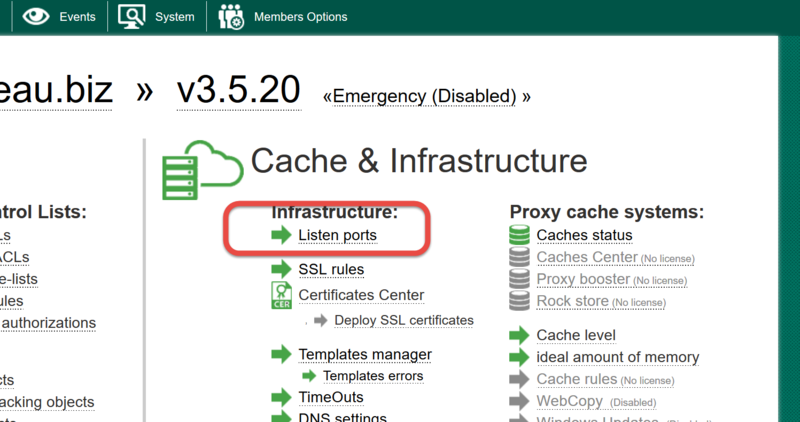 The listen port is not important because it is used internally by the proxy. 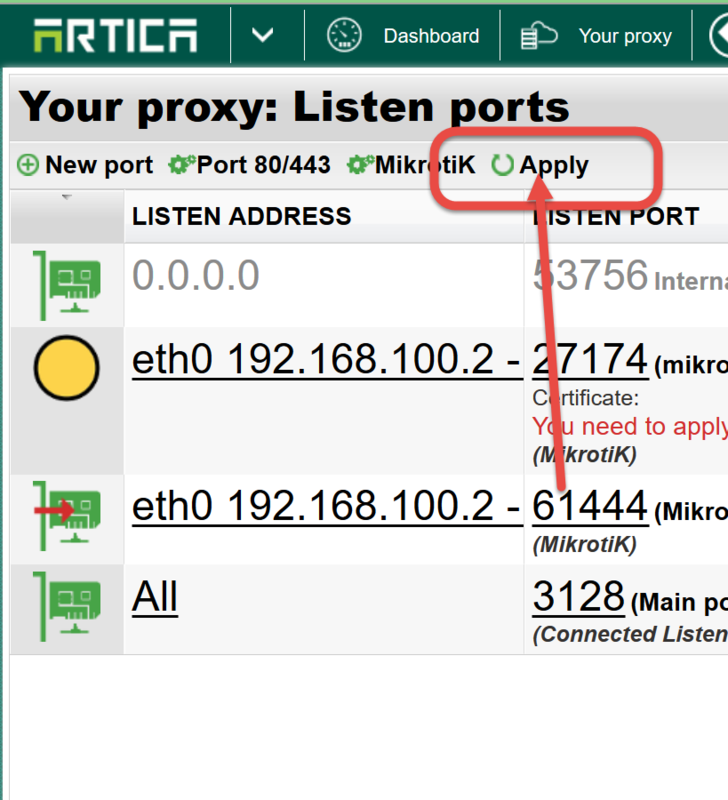 Finally, click on Apply button on the table top menu in order to make ports in production mode. 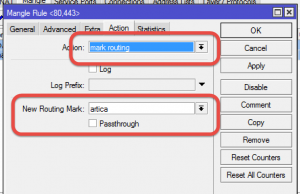 Note: Artica install a script that able to reconfigure the system according MikroTik rules.